Production variations, especially in the early years, were common. While modern production techniques and even legally binding considerations have made for very consistent production practices in recent times, it wasn't always that way. Up to the C4 Generation, it was common to use whatever was on hand, such as left over parts from the previous years production as opposed to what was expected. Dealers sometimes played a roll, adding or changing whatever to make a sale. This means that while an owner can point to a discrepancy and swear "It came from the dealer that way" and be able to back it up with documentation, that doesn't mean that's how it was equipped when it left the factory. Another thing that can trip you up is the wheels. They are easy to change and owners can put wheels from another year on their Corvette, sometimes out of necessity or they might just like the look of the wheel from another year or an aftermarket wheel. Owners sometimes made modifications to update / improve their cars. 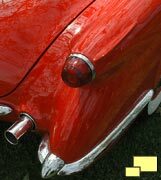 A good example is the owners of 1963 split window coupes, who, when the parts became available for a non-split rear window conversion in 1964, performed the operation to obtain better rearward visibility. You'll almost never find anyone making that change now as the car's value would be reduced significantly. How to cheat. 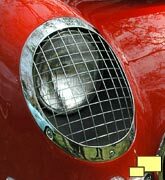 You could just look at the VIN tag to determine the year - but what fun is that? 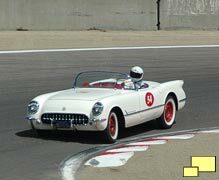 Besides, you don't always have access to it, as early Corvettes (C1 and C2) had the VIN data located in various places. 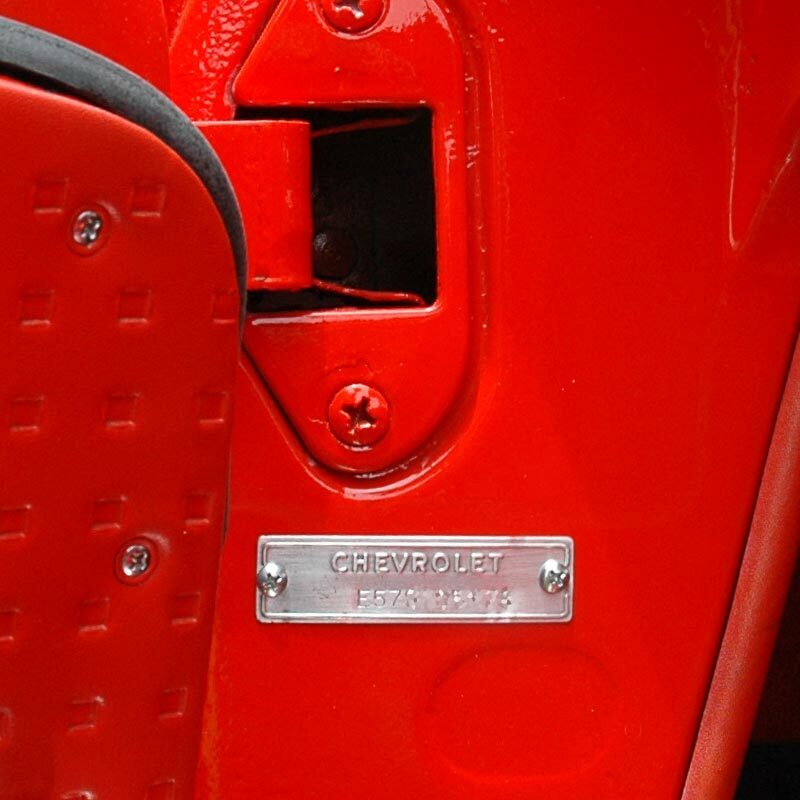 C3 and later Corvettes featured a VIN tag that was visually externally accessible to comply with Federal anti-theft regulations. Right: Simple VIN tag identifies this as a '57 via the second and third digits. All VIN numbers included the year although the location within the VIN varied. 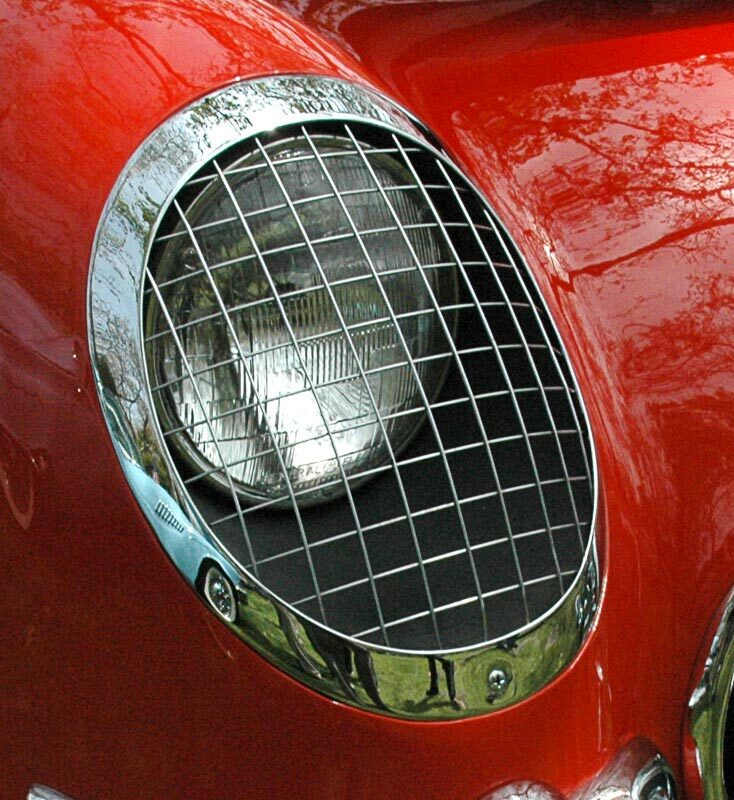 1953 and 1954 Corvettes featured the same body style which included the stone guard headlight treatment (below left) and the rocket style tail fins (right). 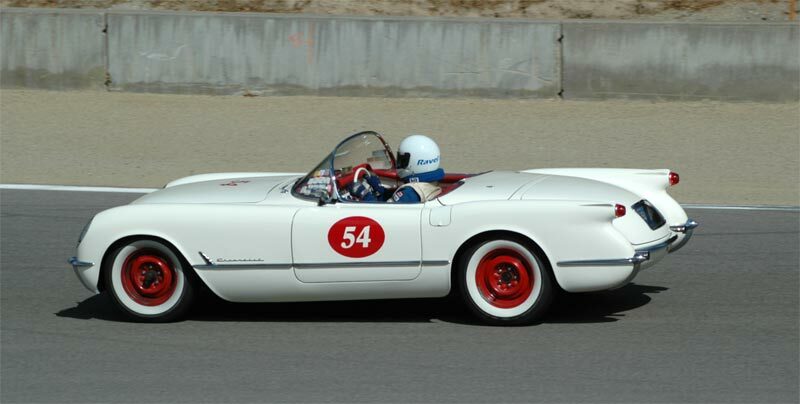 All 1953 Corvettes were painted Polo White and featured red interiors. 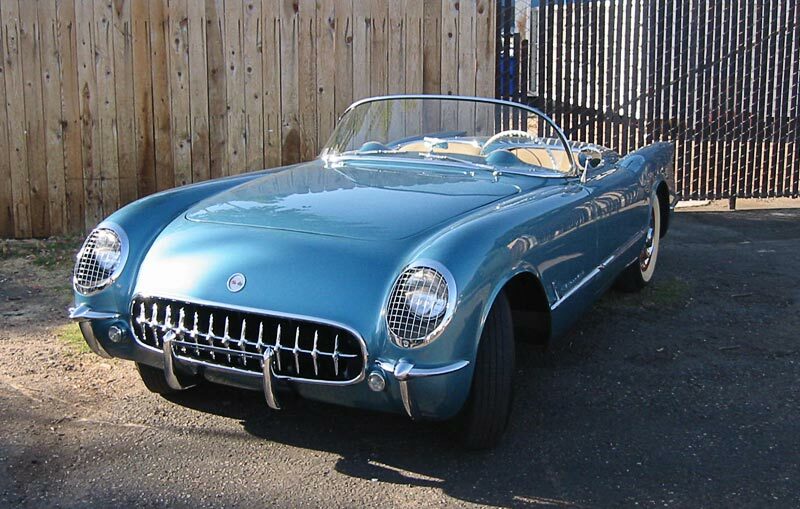 Production quantity was only 300 for the 1953 'vette and it's estimated that only about 225 survive today, so it is rare to see one on the street. 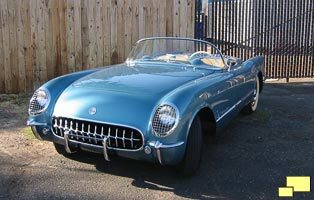 Above: All 1953 and some of the early 1954 Corvettes used a "Bullet" style air cleaner. 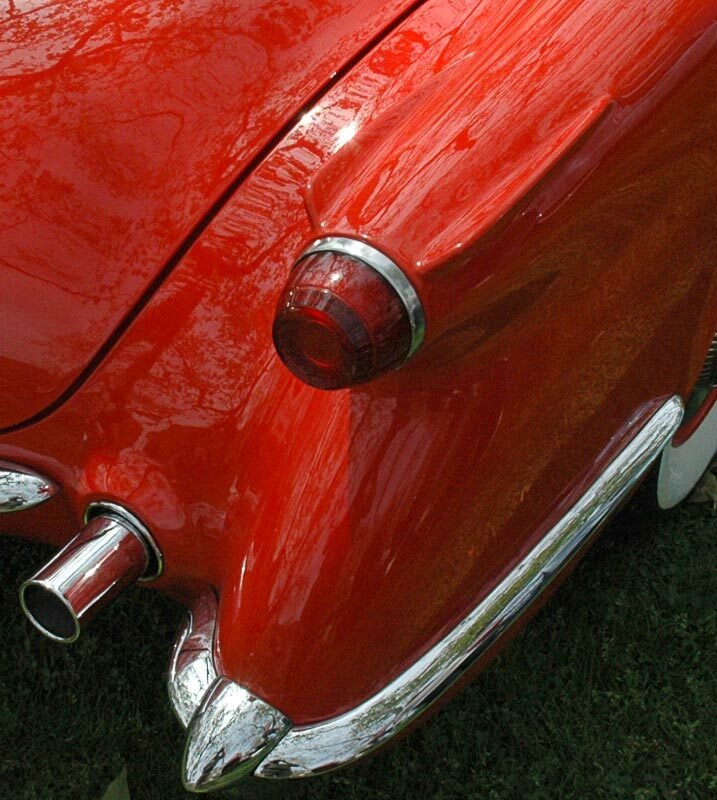 Induction noise and problems with engine fires necessitated a change to the Dual Pot air cleaners seen only on 1954 Corvettes. 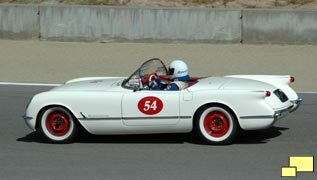 Although most of the 1954 Corvette production of 3634 units were Polo White, poor sales caused GM to offer Pennant Blue (quantity: 400), Sportsman Red (quantity: 100) and Black (4 units). 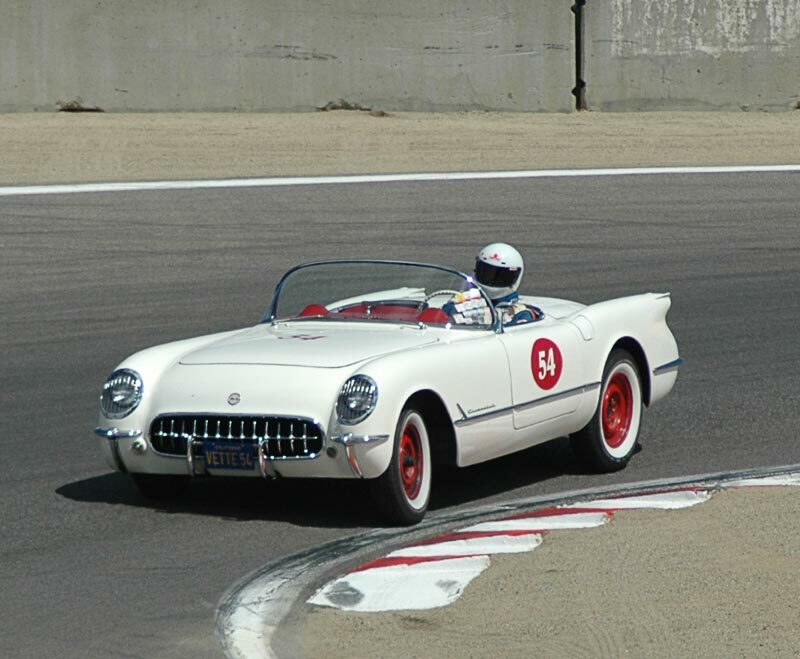 1955 Corvettes featured the same body style as 1953 and 1954. 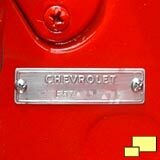 All but six of the 700 1955 Corvettes were equipped with the V8 motor and are identified by the gold "V" in the Chevrolet script on the front fender (below).